At Top Shops Auto Body Supplies, we combine our knowledge and experience of auto body work with honesty to provide the right products for your project. Colour matching, custom aerosol cans, auto body panel work, and much more are all available to both vehicle owners handling do-it-yourself projects and commercial auto body shops taking care of dozens of vehicle jobs a day. Top Shops Auto Body Supplies has been a family business since 1980, offering the Barrie community professional service that is affordable and personalised to meet each customer’s specific need and budget. 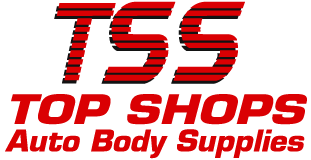 Visit Top Shops Auto Body Supplies today.